When I first heard that Panasonic was going to introduce larger-screen LCDs, it made me nervous. In the past, Panasonic kept a clear screen-size delineation between its plasma and LCD TVs. LCDs were never larger than 42 inches; plasma was the company's only option in the larger sizes aimed at the home theater crowd. 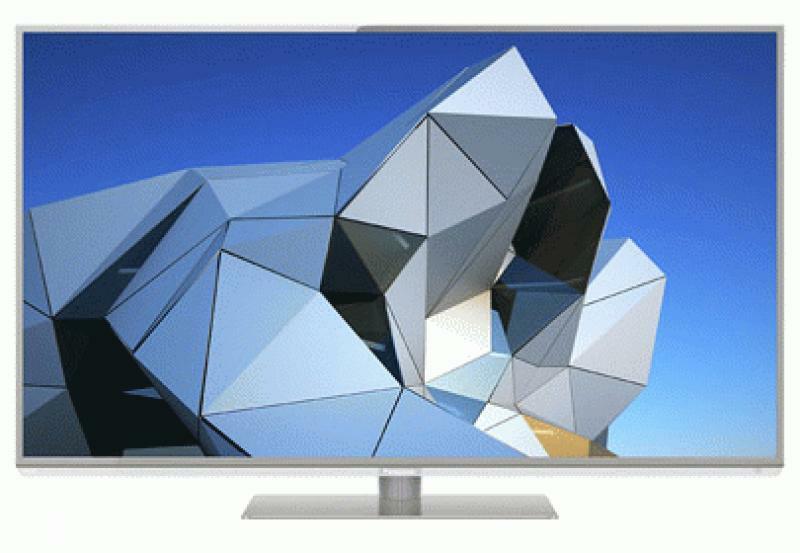 So, when Panasonic announced at CES 2012 that it would add 47- and 55-inch models to its LCD lineup, I feared what it could mean for plasma technology in general. The day that Panasonic decides to give up on plasma is likely the day that technology will die, which would make me and most of the video reviewers I know very sad. • Read more LED HDTV reviews from HomeTheaterReview.com's staff of writers. 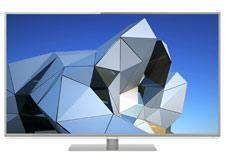 • Explore more reviews in our 3D HDTV Review section. • Compare the TC-L47DT50 against the plasma alternative. Naturally, I wanted to get my hands on one of these larger-screen LCD models to see how its performance measures up. Panasonic sent me the 47-inch TC-L47DT50. The DT50 Series is the lower-priced of the two larger-screen LCD lines; the top-shelf series is the WT50. The TC-L47DT50 is an active 3DTV that uses edge LED lighting (no local dimming), an IPS LED panel to improve viewing angle, 240Hz technology to reduce motion blur and film judder, and the 8-Train speaker design with a super-slim subwoofer. It includes Panasonic's VIERA Connect Web platform with built-in WiFi, a Web browser, and DLNA media streaming. The TC-L47DT50 carries an MSRP of $1,899.99. After spending several weeks with the TC-L47DT50, I have one thing to say to Panasonic: Keep dancing with the one who brung ya. Thanks to its edge-LED design, the TC-L47DT50 has a thin, lightweight form, measuring just 1.1 inches deep and weighing 28.7 pounds without the stand. The "Glass & Metal" design combines a brushed-metal frame with a clear acrylic panel that runs beneath the bottom of the screen. There's only about a half inch of bezel around the 47-inch screen, and the matching brushed-metal stand is a swiveling model with a traditional square shape. All in all, it's a nice-looking package, although not quite as sleek and eye-catching as some of the competition. The TC-L47DT50's remote control is identical to that of the TC-P55ST50 I recently reviewed - i.e., it looks similar to previous Panasonic remotes, but the button layout has been slightly tweaked to be more intuitive. Panasonic recently updated its VIERA Remote app for iOS and Android devices. The new v2.02 offers a game-pad layout for VIERA Connect games, an integrated Web browser and a media viewer. It also allows you to flick content from your mobile device to be displayed on the TV (and vice versa). The app includes a virtual keyboard for easier text input, and this TV also supports the addition of a USB keyboard. In the connection department, you'll find four HDMI inputs, three USB ports, and an SD card slot running down the left side channel of the connection panel. Both the USB ports and SD reader support media playback, and you can attach a Web camera or the aforementioned keyboard to the USB ports. Along the bottom are a PC input, a component video input that requires use of a supplied breakout cable, and a single RF input to access the internal ATSC and Clear-QAM tuners. For network connectivity, you can choose between wired Ethernet and built-in WiFi. Given this TV's price, the picture menu is surprisingly lean on advanced adjustments. You can start by choosing from five picture modes: Vivid, Standard, Cinema, Game and Custom. Either the Cinema or Custom mode is a good starting point from which to make further adjustments - too bad there aren't more options. Yes, you get basic controls like contrast, brightness, color, tint, sharpness, color temperature (Standard, Cool and Warm presets) and noise reduction. There's also a manual 100-step backlight control, or you can engage C.A.T.S. to automatically adjust the backlight based on room lighting. What you don't get are advanced white-balance controls, individual color management tools, or gamma adjustment. Panasonic does include a tool called A.I. Picture that provides limited automatic brightness/gamma adjustment, and there's a very basic Color Management tool that "enhances green and blue color reproduction" when enabled (I kept it off). To describe its blur-reduction technology, Panasonic uses the phrase "1920 Backlight Scanning," which is the combination of a true 240Hz refresh rate and an eight-phase backlight scanning/flashing system (240 x 8 = 1920). In the picture menu, Motion Picture Setting is the control that enables blur reduction - you can leave it set for Off or choose between Weak, Medium and Strong modes, all of which employ some degree of frame interpolation to reduce blur, which will alter the quality of motion with film sources. In the 3D realm, the TC-L47DT50 is an active 3DTV that employs frame-sequential 3D technology, in which the TV alternately flashes a full-resolution left-eye and right-eye image. Panasonic does not include any active-shutter 3D glasses in the TV package. I used the same glasses that I employed for my review of the ST50: The TY-ER3D4MU glasses communicate with the TV via Bluetooth, weigh just 27 grams and have a new Quick Charge feature (a two-minute charge gives you three hours of use); the MSRP is $79.99 per pair. The 3D setup menu includes 3D Adjustment to adjust the left-eye vs. right-eye depth to produce a more desirable 3D effect, the ability to swap the left/right images if it seems like the depth perception is off, a diagonal line filter to remove jaggies, and the ability to enable 2D-to-3D conversion and adjust the depth. You also have the option to output 24p Blu-ray 3D content at 60Hz or 48Hz. In terms of picture adjustments, when the TV detects a 3D signal, it automatically switches to a 3D picture menu in which you have access to all the video controls I listed above for 2D content. The new 8-Train speaker system can be found in both the plasma and LCD TVs. It features eight dome-type microspeakers that measure only about 8mm thick and run along the bottom of the front panel, plus an 11mm-thick subwoofer that's mounted to the rear surface of the panel. New "sound lifting" technology is designed to more effectively redirect the sound to the center of the screen. The audio setup menu lacks preset sound modes and equalization tools, but includes bass, treble and balance controls, as well as a basic surround mode. The Distance to Wall setting adjusts the low-frequency level based on whether the TV is on a stand (over one foot tall) or wall-mounted (up to one foot). The new speaker/subwoofer design produces solid dynamics and adds more meat to the mid and lower frequencies, producing a less tinny sound than you'll often get from flat-panel TV speakers. As I mentioned, you can add the TC-L47DT50 to your home network via a wired or wireless connection. This year's VIERA Connect platform uses a cloud-based architecture, so there are no memory limitations to the amount of apps and services you can add via the VIERA Connect Market. Apps that come preloaded on the TV include Netflix, Amazon Instant Video, Hulu Plus, Skype, YouTube, CinemaNow and the full sports suite (NBA TV, MLB.TV, MLS, and NHL). This TV lacks the new VIERA Touch Pad controller and the dual-core processor (to allow for multitasking) found in the step-up WT50. For a full review of the 2012 VIERA Connect platform, as it appears on this and other new Panasonic TVs, click here. 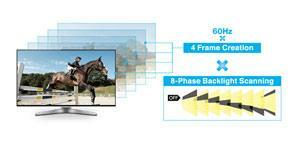 Panasonic will face no shortage of competition in the 46- to 55-inch range. I compared the TC-L47DT50 to the two most recent LED/LCDs I've reviewed: the Samsung UN55ES8000 and LG 55LM6700. Both of those TVs are also available at the 46-/47-inch size, and the Panasonic's price falls in between the two (it's closer in price to the higher-end Samsung than the mid-level LG). I also compared the LCD to Panasonic's own TC-P55ST50 plasma (also available in a 50-inch size). Read more about the performance of the TC-L47DT50 on Page 2.